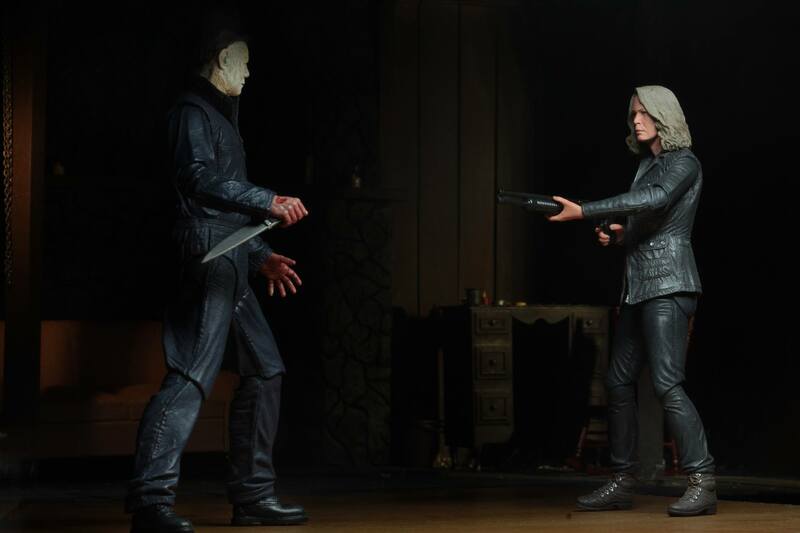 Michael Has Met His Match! 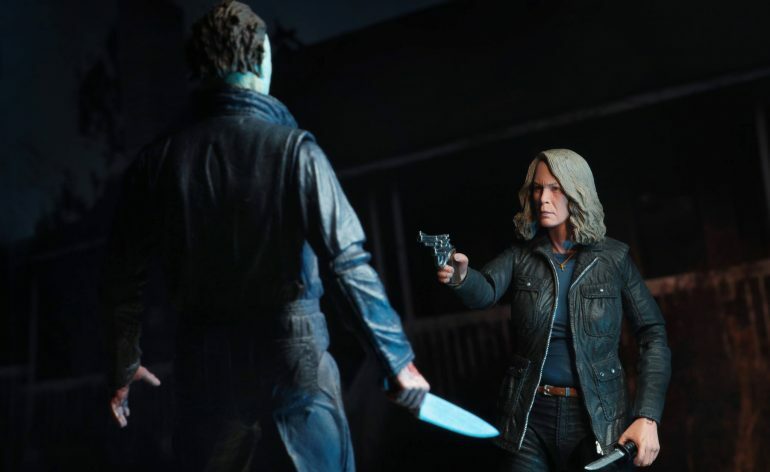 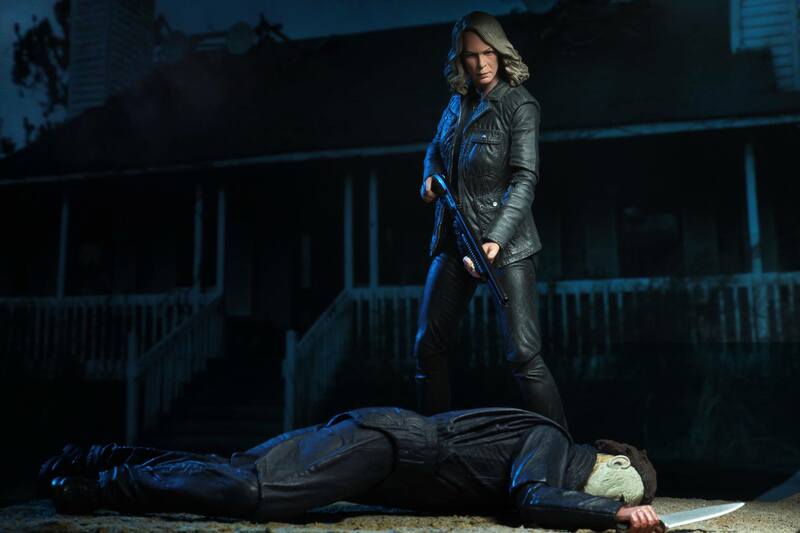 Last year NECA teased that we would be getting a Laurie Strode figure to go along with Halloween 2018 Michael Myers. Now NECA has finally unveiled the figure along with some of her accessories. 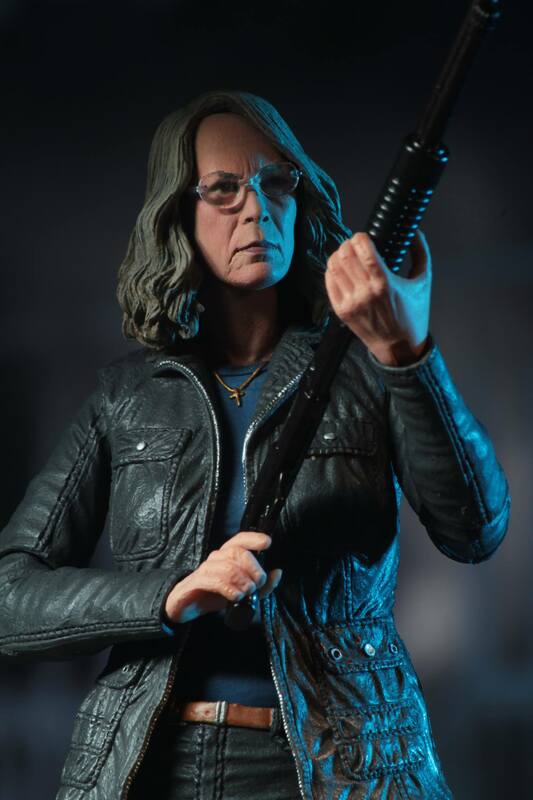 The likeness to Jamie Lee Curtis looks pretty damn good! 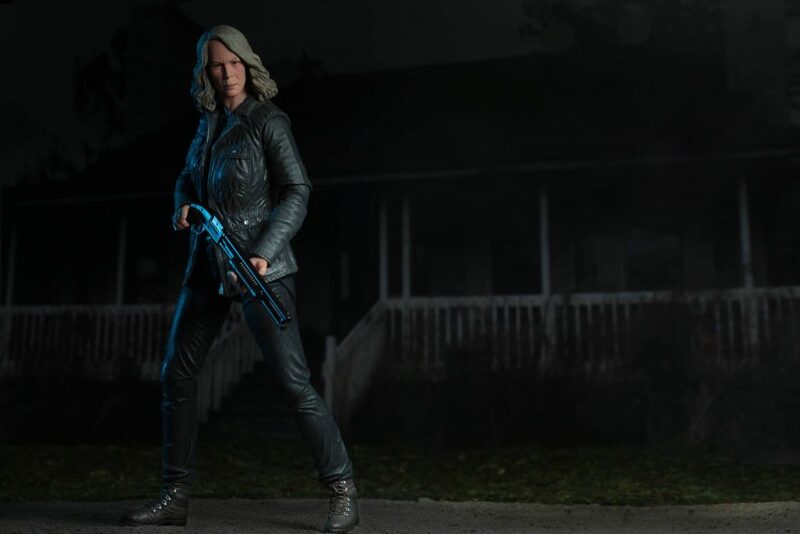 In my opinion, they have nailed it. 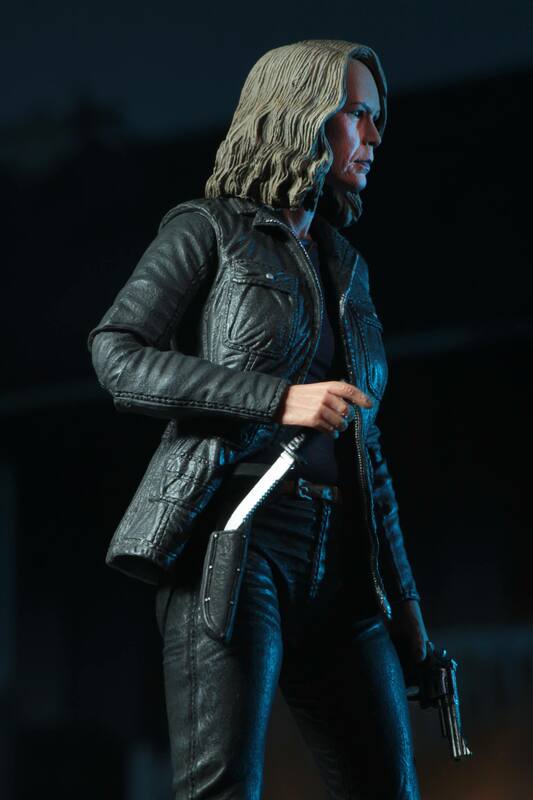 I haven’t seen the film myself yet, though I know she looks like this throughout the film. 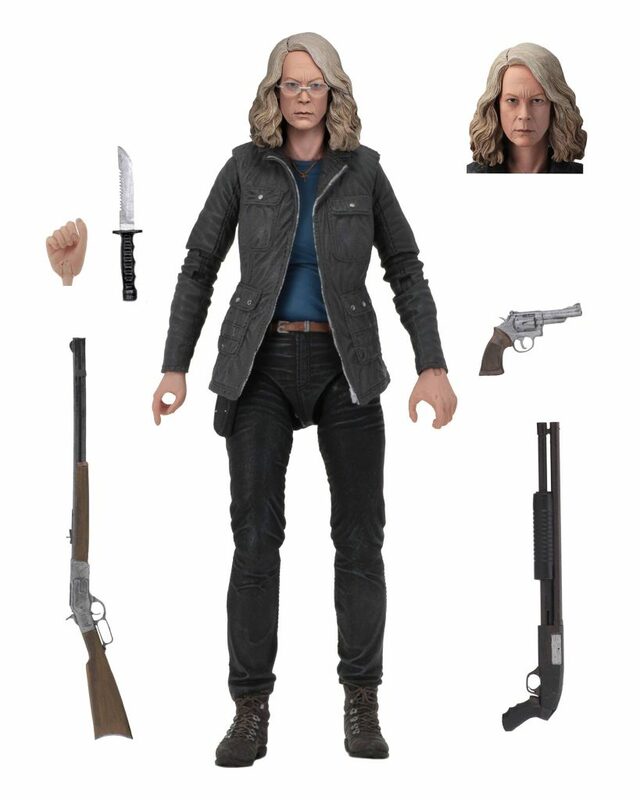 Accessory wise Laurie comes with an interchangeable head wearing glasses, alternate hands, knife w/sheath, revolver, rifle, and shotgun. 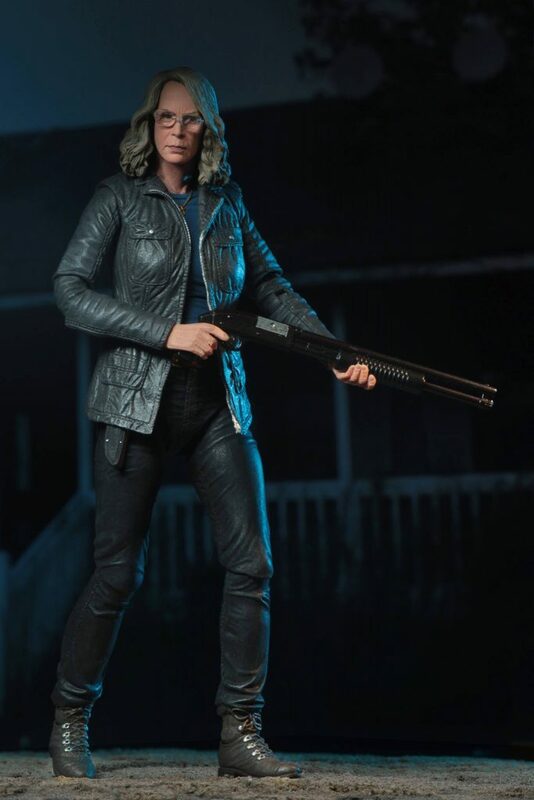 At this time it’s unclear what other accessories that she’ll come with. Like all of NECA’s ultimate figures, she’ll come with over 25 points of articulation. It’s really great to see that we’re getting more horror/sci-fi film protagonists in the ultimate line to fight against the horror icons. 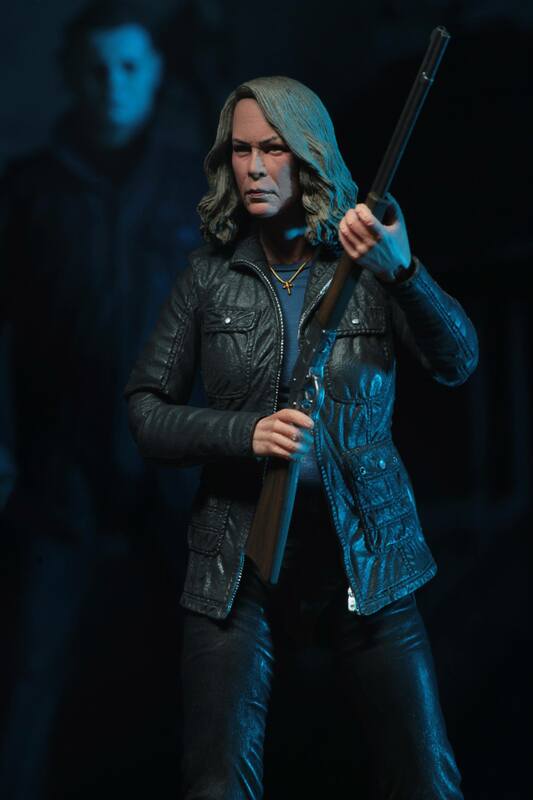 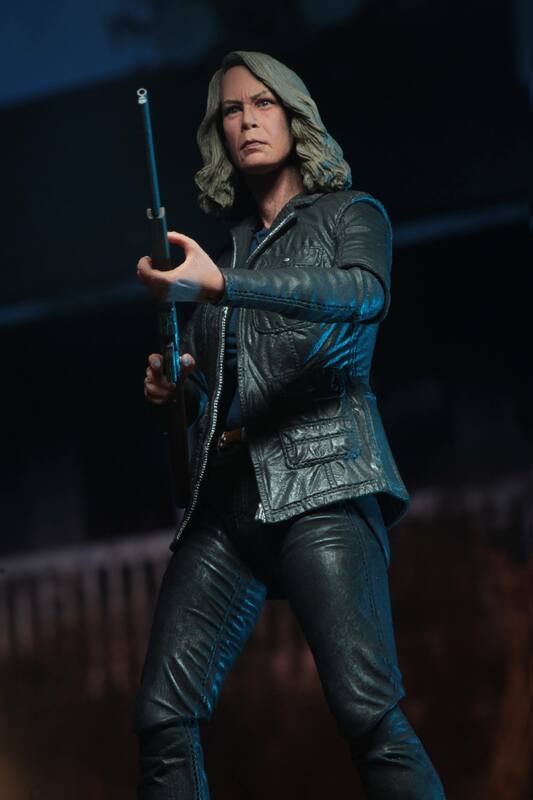 Laurie Strode is an absolute must-have if your a Halloween fan and/or a NECA fan. 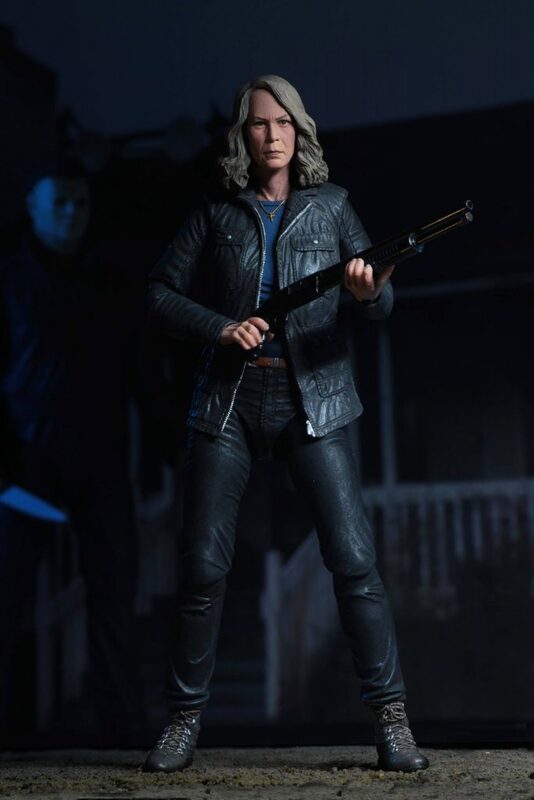 This figure is scheduled to be released this summer.